For courses in organized crime. 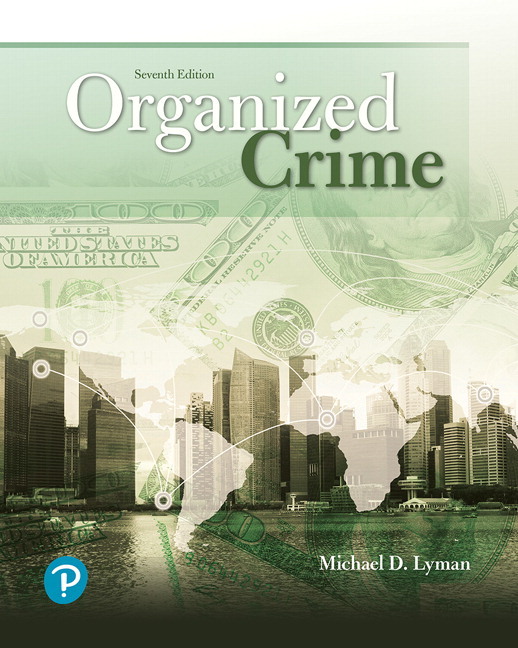 Organized Crime provides an easy-to-read introduction to organized crime, including a historical basis for understanding its origins, evolution, and current status. The text dispels widespread myths about organized crime, revealing why ethnically driven pop-­culture stereotypes are inadequate. It also deals with the role of drug trafficking in organized crime and comparative models of terrorism. 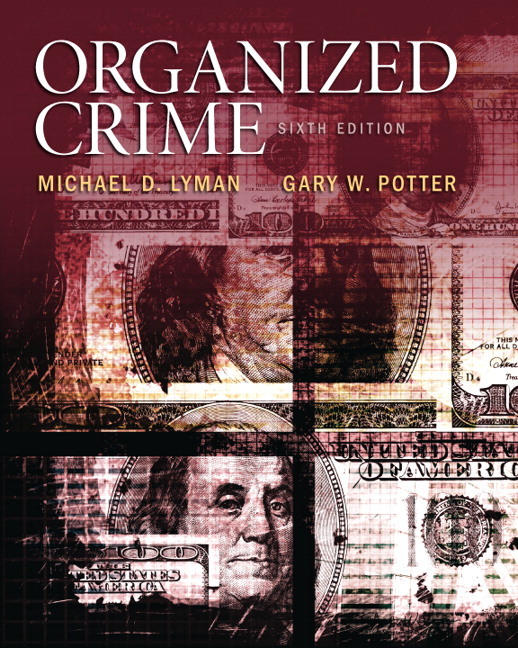 The 7th edition has significant new material and updates, such as sections on definitions of organized crime, Mexican cartels, Somali pirates, RICO, Eastern African groups, Albanian drug-smuggling networks, Triborder Area OC activity, counterfeit consumer goods, and updated case studies, statistics, and graphics. Theoretical models and a robust historical account help students grasp the current state of organized crime. Theories covered include the alien conspiracy theory, the rational choice theory, and cultural deviance theories. A dedicated chapter and intermittent content on drug trafficking addresses its role in proliferating organized crime. Groups that traffic in illicit drugs and members of society who use these drugs are also assessed. New - New to this edition is an expanded discussion of terrorism and how it interacts with organized crime, along with a revamped Chapter 9, Terrorism and Organized Crime. A discussion of the role of corrupt public officials and businesses in promoting organized crime and preventing its defeat broadens students’ perspective on the causes of organized crime and its resilience. New - New material on ISIS and its “business model” appears alongside discussions of resemblances between terrorist organizations and organized crime groups in terms of structure, financing, and recruiting mechanisms. New - This edition brings new material on the use of computers and technology within organized crime. Expanded - Additional detail is provided on modern-day piracy and recent arrests of Italian, Mexican, Russian, and Chinese mob figures. Expanded - A section has been expanded to focus on changes in Mexican drug trafficking. Students are encouraged to examine organized crime from a social and scholarly perspective through critical thinking projects, points of discussion, and suggested readings. Information culled from government reports generated by organizations such as the FBI, National Institute of Justice, and Bureau of Justice Statistics provides students with the field’s most reliable sources for additional data. Updated - This edition includes updated case studies, statistics, and photographs. New to this edition is an expanded discussion of terrorism and how it interacts with organized crime, along with a revamped Chapter 9, Terrorism and Organized Crime. New material on ISIS and its “business model” appears alongside discussions of resemblances between terrorist organizations and organized crime groups in terms of structure, financing, and recruiting mechanisms. This edition brings new material on the use of computers and technology within organized crime. Additional detail is provided on modern-day piracy and recent arrests of Italian, Mexican, Russian, and Chinese mob figures. A section has been expanded to focus on changes in Mexican drug trafficking. This edition includes updated case studies, statistics, and photographs. Michael D. Lyman is a Professor of Criminal Justice at Columbia College, located in Columbia, Missouri. In addition to being a teaching faculty member, he serves as the program coordinator for the Master of Science of Criminal Justice Program and the founder of the college’s Forensic Science Program. Before entering the field of college teaching, he was employed as a certified police trainer and also served as a sworn criminal investigator for state police organizations in Kansas and Oklahoma. He has taught literally thousands of law enforcement officers in the proper police techniques and methods of professional criminal investigation. Dr. Lyman has authored numerous textbooks in criminal justice dealing with the areas of criminal investigation, policing, organized crime, drug enforcement, and drug trafficking. He received both his bachelor’s and master’s degrees from Wichita State University and his PhD from the University of Missouri–Columbia. He has served law enforcement and legal communities on over 375 occasions to review criminal investigations and render the results of his evaluations and his opinions in federal court proceedings nationwide. Textbooks such as this are an ongoing work in progress, and the author welcomes communication and correspondence about his work. Dr. Lyman can be contacted at Columbia College, Rogers Street, Columbia, MO or at mlyman@cougars.ccis.edu.